I'm definitely one who loves the sights, tastes and sounds of autumn. The foliage changing colours, the tastes of cinnamon, spiced apple, and nutmeg, and the crisp sound of leaves crunching beneath your boots; I love it all! In light of fall's arrival last week I am rounding up some of favourite fall themed recipes on P&P that you should definitely bookmark and try out this weekend. Treat yourself to a moist, dense, and delicious white chocolate pumpkin cookie and a homemade pumpkin pie latte on the side. 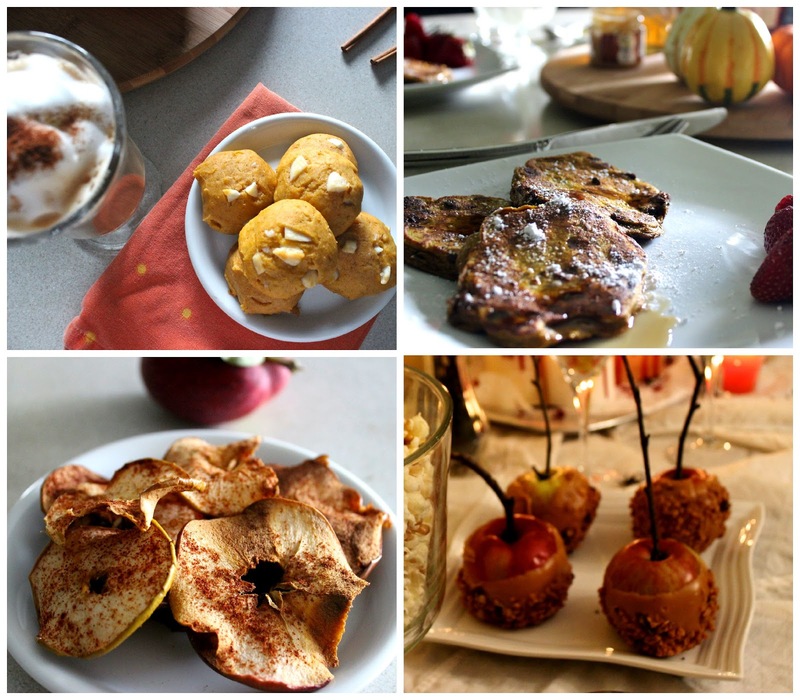 Better yet, whip up a whole pumpkin inspired brunch at home complete with pumpkin pancakes, banana-almond butter bites, maple glazed turkey bacon, and those fantastic cookies and lattes you just made! Heading to the orchard sometime soon? You're bound to have countless leftover apples. I give you two options: the healthy alternative, scrumptious apple chips lightly doused in cinnamon (which I am now addicted too), or the classic caramel apple. The choice is yours!